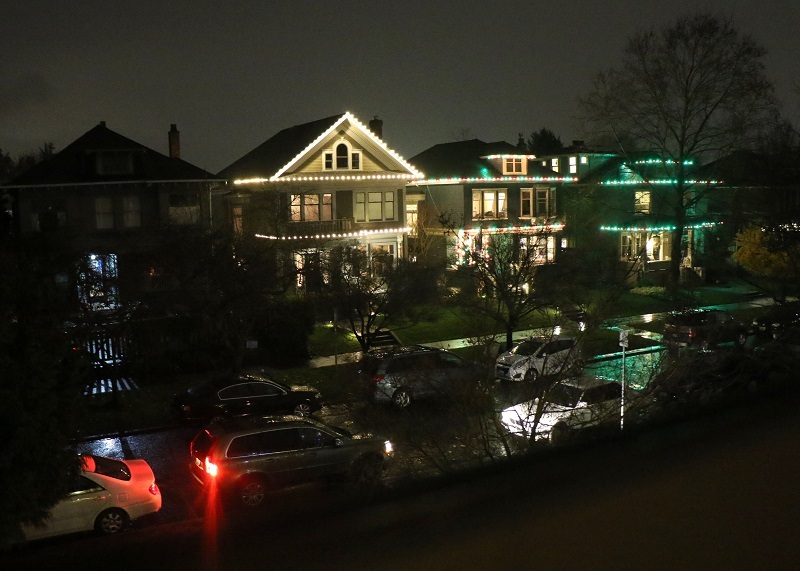 Darkness comes quickly in winter, so it’s great to have neighbors that put their Christmas lights up long before Christmas. The three houses on my street have gone with slightly different colors: white only, white, red & green, and red & green. They are all very nice, brightening up the mood on our street.